The Tricia Goyer books you probably haven't read … but should! You are here: Home / adoption / The Tricia Goyer books you probably haven’t read … but should! 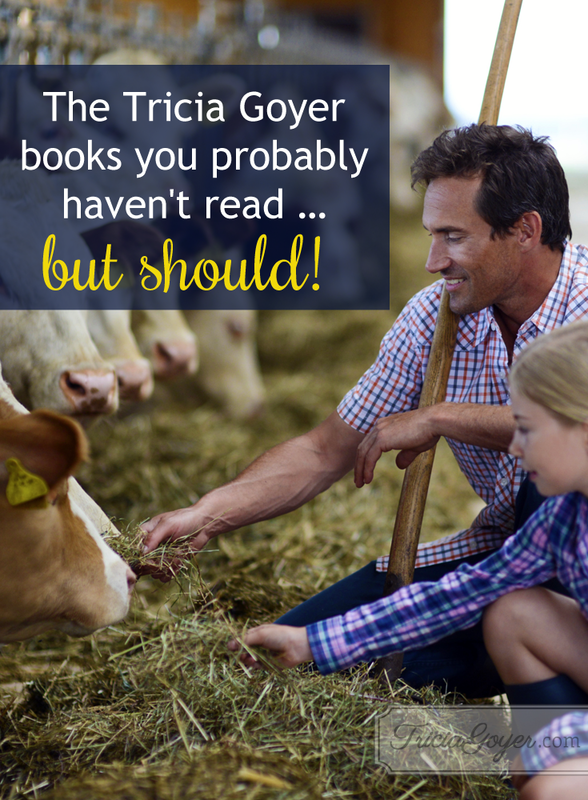 The Tricia Goyer books you probably haven’t read … but should! I love writing books, and I love when readers are able to walk into bookstores and pick up a copy just as it comes out, yet I’ve written some books where doing that hasn’t been so easy. In fact many readers haven’t purchased books from my Home to Heather Creek series because for many years these books were only available through the Guidepost book club. Want to know more about these stories? Here’s something I wrote about my experience writing Sweet September. Of course I wrote this before we opened our home to four girls … so our “garden” is still growing! I love gardening. Well, let me clarify … I love writing about gardening. 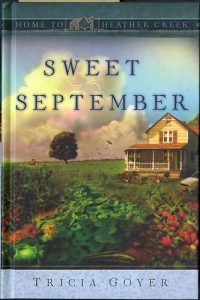 It seems both down-to-earth and oddly romantic to live on a farm like Bob and Charlotte in Sweet September. The idea of planting seeds, watching their progress and then eating of our labor delights me—which is why my husband and I planted a garden this year. It was only our second attempt at a garden. The last one we had was more than 15 years ago. We had just moved to Montana and we’d bought our first home. Before the grass was in, I staked out a large spot and planted everything I could think of. Row after row after row. The produce had come in thick, but so did the weeds! My kids and I would literally dig through the weeds to find the green beans and tomatoes. It was work! Maybe that’s why it took me so long to attempt gardening again. This year my husband and I decided to be more realistic. We planted two types of tomatoes, squash and cantaloupe. And as we watched the small plants grow, we dreamed of the harvest. Every day we peeked at the growing plants and invited our new children to do the same. Just like Bob and Charlotte, we opened our home to three little ones, children who came to us through adoption. We adopted Alyssa in 2010 as a newborn, and this year we added Bella and Casey to our family by adopting from the foster care system. As summer days stretched their warm rays, our plants and our family took root and grew. Then reality set in. Our squash got nibbled by bugs and some of our tomatoes got bud-end rot. Our children had struggles, too, with bonding, being able to trust and opening up their hearts. There were days I questioned if my hard work was going to produce anything good. Yet what I discovered is that both growing a garden and growing a family takes time, dedication and patience. Both are harder than one would think … but worth the effort! I’m thankful that in both cases we turned to God for help, and he was gracious to do so. Our Creator designed the plants and growing seasons. He also designed our family. As summer comes to an end I’m enjoyed many fine meals with our produce. I’m also enjoying the new smiling faces around the table and the family that God continues to grow! I hope you have a chance to enjoy these stories from Heather Creek! I had a joy writing them and I know the other authors did too! The Home to Heather Creek Series is amazing1 I very much enjoyed every volume, and they are worth reading. I became acquainted with Tricia’s writings when I had the first two volumes of Mornings with Jesus, and have loved her since! But I have to catch up with her mass-market books now 🙂 which I’m sure get better and better. I haven’t been able to get the most recent Guideposts’ series, and I miss them, but their books are wonderful, and I’ve become acquainted with several excellent Christian fiction writers through them. We have that series and others by Guideposts in the Church Library. Our readers love them!